My daughters loved horses when they were younger (especially Eliana, who still enjoys riding). I suppose that's fairly common for little girls (not to be stereotypical, but that's what I have observed). My girls also enjoyed making snowmen in the winter (we usually get plenty of snow here in Minnesota). 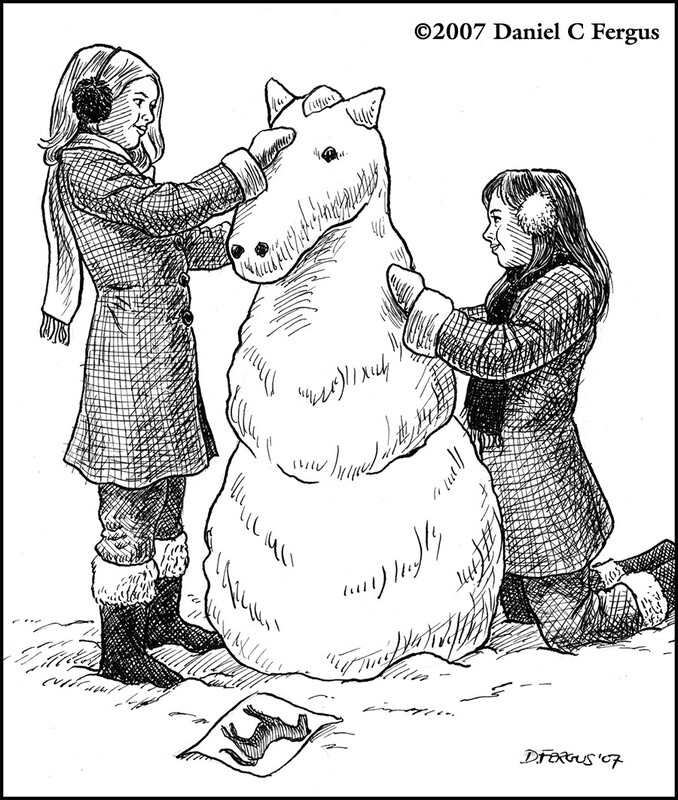 However, they've never actually made a snowhorse (at least, they haven't yet).